If you own or manage a business and have frequent visits from people who need assistance using stairs it’s a good idea to install a high quality commercial stair lift. Many rehab facilities, doctor’s offices, hospitals and other medical buildings will have patients arriving who cannot walk up and down stairs due to recent surgery, debilitating conditions associated with illness or complications that arise from natural aging. By offering patients and senior men and women comfortable and practical commercial stair lifts in your office you provide a welcome mobility aid that will allow people to move freely between floors. While commercial stair lifts are obvious choices for medical facilities you may also need to install one in a corporate office for employees and visitors who need assistance in climbing stairs. In some cases your building may be required by law to have handicap access and if that is the case shop the wide selection of comfortable and practical stair lifts at Indy Stair Lifts to find a commercial chair lift that is right for your building. At Indy Stair Lifts we offer both indoor and outdoor commercial lifts to give people with disabilities the freedom of moving from floor to floor in a simple and smooth manner. Whether your commercial building has a wide stair case, narrow walls or curved stairs, we have a commercial stair lift unit that will custom fit your existing design. From the Pro Lux and XL to the Indy Pro Curve we provide a great selection of durable and comfortable commercial stair lifts to make your office a welcome place for people who need assistance in navigating stairs. 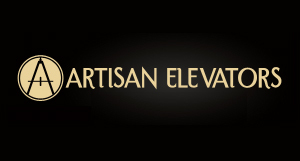 Lightweight, compact and with the ability to operate even during a power outage, commercial lifts from Indy Stair Lifts are widely used in commercial buildings all over the country. 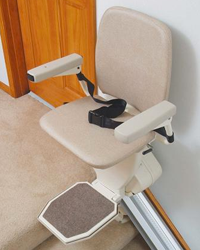 With a patented helical drive system the Indy PRO Pinnacle lift is one of our most popular commercial models and features a height adjustable seat, safety sensors that ensure the lift will stop automatically when encountering an obstruction and a narrow 11″ wide frame to fit even tight stair spaces.